As your company grows you may want to revamp your office space. Reconfiguration rearranges office spaces. Contact us about office furniture reconfiguration. During reconfiguration we’ll inspect your current office space. We’ll see where things are and come up with a plan to reconfigure your office space. With configuration we can see if you need other equipment or furniture to improve working conditions. Reconfiguration is a great choice for office resizing and moves. Reconfiguration may be needed if you’re adding more employees. We provide supervision to keep your reconfiguration on schedule. And allow your team to still get their work done while we work. Don’t reconfigure office furniture on your own. Get it done right with our reconfiguration service. There are many challenges to leasing office space. What if the office furniture you have won’t fit the space right? We’ll use reconfiguration and installation to set up your new office space. We know how to properly install office furniture and workstations. In no time your team will be up and running. 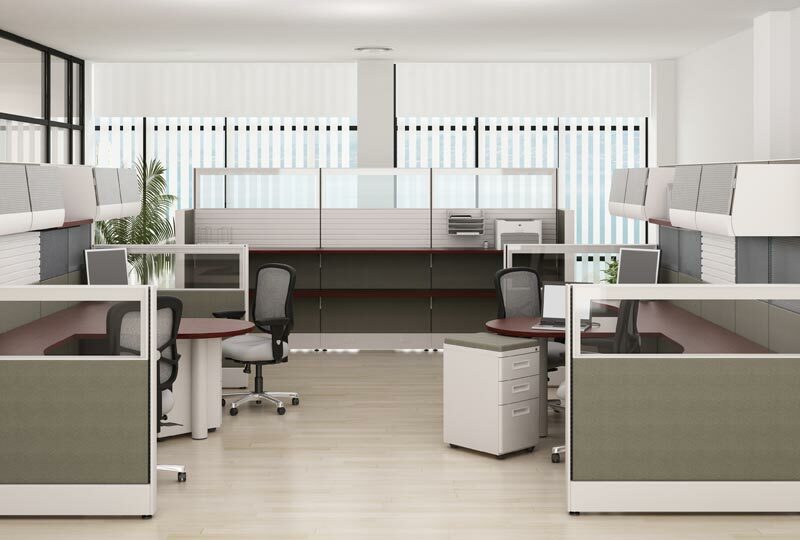 Reconfiguration and installation can be done for separate offices. If the office you buy already has furniture in it we can remove it and put in your new office furniture. Ask about our reconfiguration and installation today.